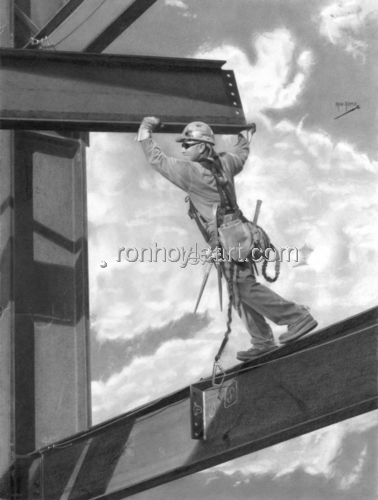 Local 433 Ironworker, Paul Moreno, in Riverside, CA, pushing a load to make a connection. 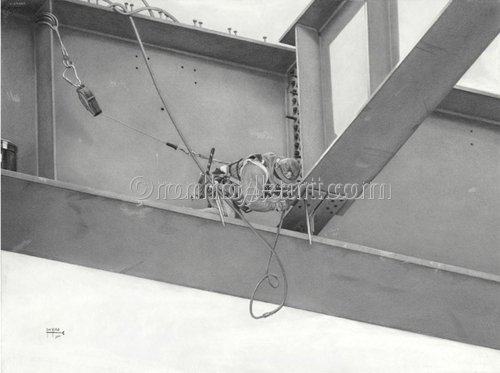 Drawing #5 in the series "The Men Who Build America"
Tying rebar is some of the hardest, dirtiest work, but it is also one of the backbones of ironwork. 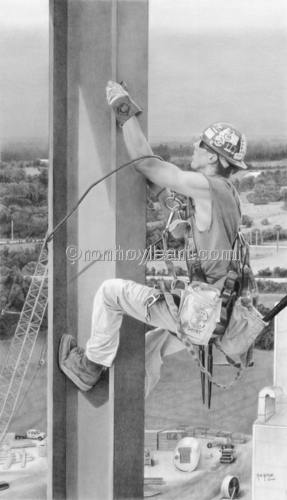 This drawing is a tribute to the "rodbuster", the unsung heros of the trade. 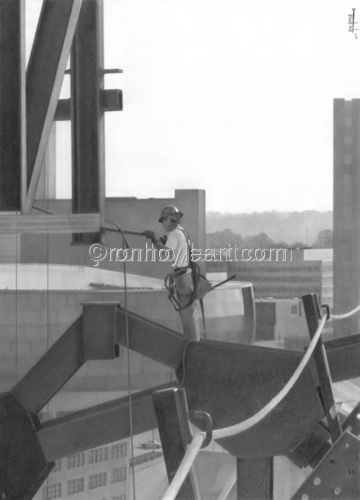 It is also a tribute to Anthony Adcock, an amazing artist from Chicago who also happens to be an ironworker. 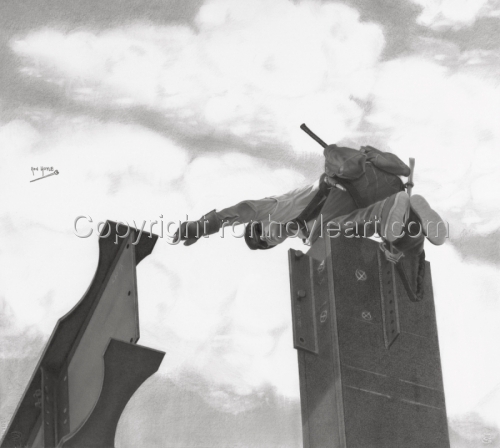 If you like great art, check out his work. 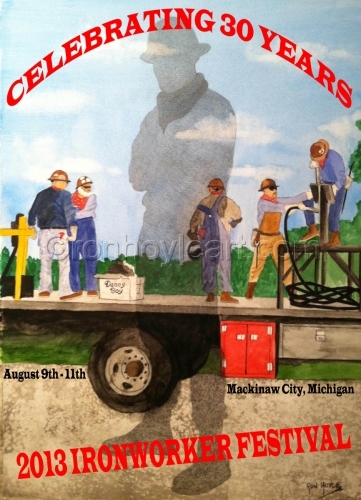 This drawing depicts four members of the Ironworkers Local #1 in Chicago, IL. From left to right are Bill Rhiley, Vladamir Pistalo, Anthony Adcock, and his father Jeffrey Adcock. 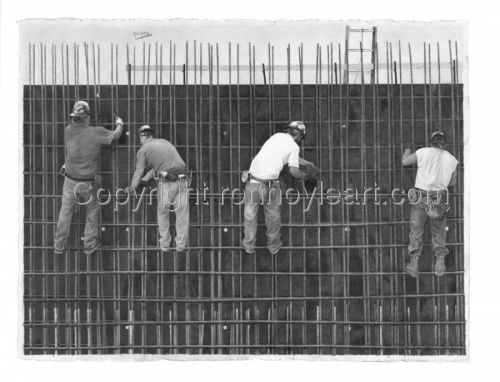 The job, building the guts for a concrete wall, was at North Avenue and Blackhawk in Chicago, IL. 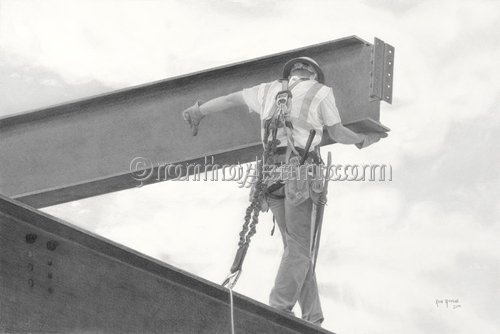 Graphite Pencil Drawing, 2012, of San Diego Ironworker reaching for a beam to make a connection. 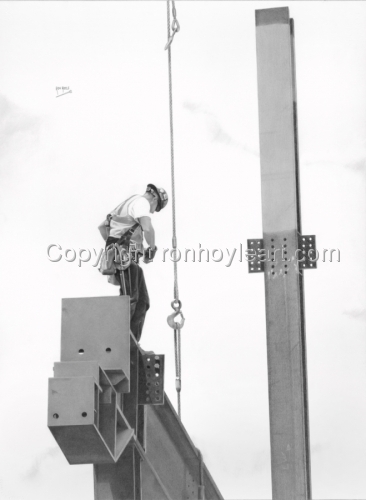 Ironworker standing on beam, taking a moment to collect himself before cutting the rigging loose.